Miranda’s sand printer uses techniques borrowed from the classic dot-matrix printers. An over-sized print heads travels back and forth between sets of large wheels that slowly roll the entire printer across the beach. 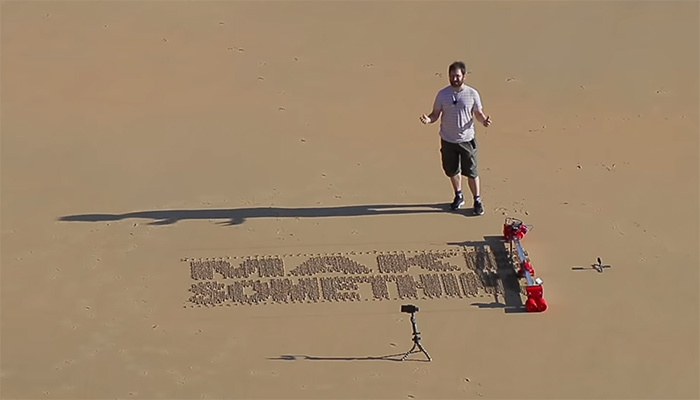 As the print head moves, an etching tool lowers and raises to carve lines in the sand that eventually form longer messages. It’s a slow process, especially for those of us who’ve become accustomed to speedy laser printers churning out multiple pages per minute. But the results are far more Instagram-friendly than trying to write an endearing message in the sand with a stick. This entry was posted on Tuesday, July 3rd, 2018 at 9:33 am	and is filed under design, gadget, General, printer. "Xiaomi and Huawei To Intriduce Home Printers Soon"
"A Handful of Innovations To Seek In Your New Printer"